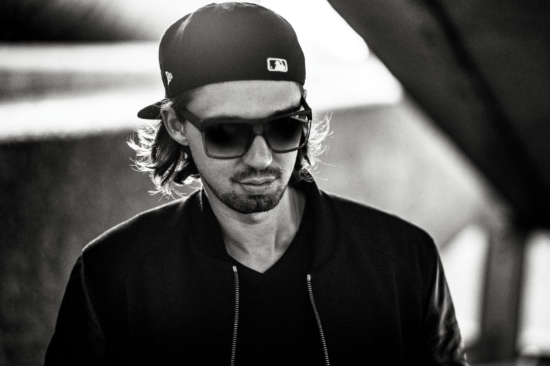 Australian Sonny Fodera’s career has sky-rocketed in the past few years. His compilation album on Defected Records, alongside his popular productions on labels like Green Velvet’s Cajual Records, Seth Troxler’s Visionquest label and more, has won him fans throughout the industry and general public alike. Originally inspired by the 4/4 groove of Derrick Carter, he has now developed and toured his own brand of bassline-driven house across the world, demand for his sound resulting in a 30-date tour across the UK and the USA two years ago. To date Sonny Fodera has achieved a lot in his illustrious career: A Beatport number one; a BBC Radio 1 Essential Mix; three studio albums; EP’s on Cajual Records, Repopulate Mars, Suara and, of course, Defected. The Adelaide-native has a strong case to stake his claim as one of Australia’s biggest and most successful house music exports. As today’s fledgeling house revival attains new heights so does the difficulty in standing out amid its thriving pool of talents, however, Sonny Fodera continues to scale the mounting hierarchy whilst making it look easy. Named by Mixmag as one of their ‘Hot Six’, Sonny Fodera has had an impeccable 2013 with releases on a slew of today’s biggest house labels including a debut album, Moving Forward, on the reputable Cajual Records. Renowned for his smooth technical mixing, last year saw Fodera play at some of the world’s greatest clubs such as Air, Ministry of Sound, DC10, Booom! as well as a residency at Ushuaia Tower. Such recognition from the industry greats is a testament to Fodera’s knowledge and talents. Proving he is anything but a neophyte, the producer’s sub-genre ranging productions attest to his immense understanding of the genre with his tracks being supported by some of today’s biggest DJs. Cajmere was so fond of Fodera’s abilities he began collaborating with him as well as offering him an album deal on his label Cajual Records. According to Fodera, last year’s highlights were “playing with David Morales and Simon Dunmore at Defected’s party at Ushuaia Tower, DJing at DC10 in Ibiza, getting signed to Defected and also releasing an album on Cajual Records”. These are all remarkable feats for any artist his age and require immense work ethic and passion, traits which Fodera has in spades. When asked about the biggest challenges a new producer faces Fodera states it is “getting signed to the right labels”, however looking back on his discography only proves this is a challenge he continues to pass with flying colours having had releases on the likes of Defected, DFTD, Cajual Records, Farris Wheel Recordings, Guesthouse, and of course his very own label Beatdown – all within the last year. Now in the age of the popularisation of electronic music the young breakthrough producer is a reminder of a stronger than ever underground scene as he continues to showcase his true-house sound to every corner of the globe. Looking to continue last year’s momentum into 2014, the burgeoning artist has collaborations planned with some much respectedartists including further work with Cajmere and Gene Farris, another album on Cajual Records due in March as well as a touring calendar that will undoubtedly top the previous one. With no sign of resting on his laurels Sonny Fodera aims to persist with the fervour and integrity that has got him this far, forming a bright and promising future where he will undoubtedly be looked up to by future generations himself.